Rent The Royal Palms Shuffleboard Club | Corporate Events | Wedding Locations, Event Spaces and Party Venues. 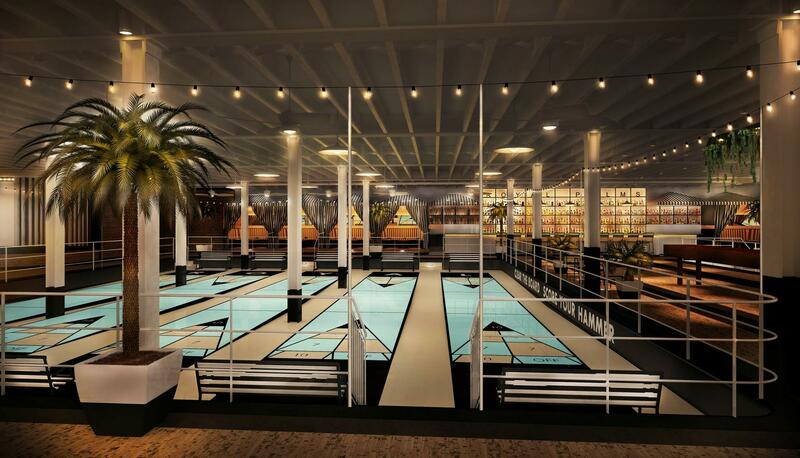 The Royal Palms is the world’s first Shuffleboard Nightclub. Enjoy our fresh, tiki inspired cocktails, craft beers, cast of rotating food trucks, and shuffleboard on our ten regulation sized courts. for live performance/music & projection screen.